This 6 in 1 Hydra Dermabrasion H2O2 Aqua Facial Beauty Machine converts purified water into hydrogen and oxygen ions water to make the surface of the skin able to produce H2 molecules, which then allows water molecule cells to quickly penetrate the dermis. It is a non-invasive exfoliation process that cleanses, exfoliates, extracts and hydrates the skin safely and painlessly. It also improves fine lines on the eyes, enhances firmness, and brightens the eyes. This is a highly effective semi-permanent makeup treatment with immediate effects, minimal effort and added benefits such as skin brightening, skin whitening, smoothening/improvement fine wrinkles, lightening of pigmentations, freckles, acne marks and rosacea. The process uses a Dr. Pen Microneedle device to enchance the absorbent of BB Cream, giving you a radiant, smooth color with the effect of light to medium BB cream coverage effect. 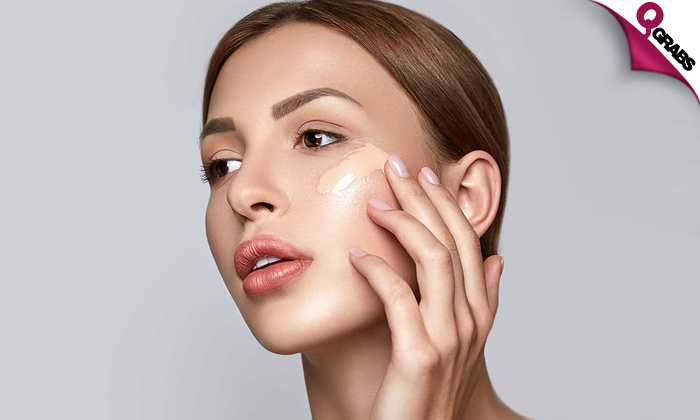 Achieve that beautiful facial glow for 74% off! Violletta Beauty Lounge is located in Doha, Al Aziziya Area, facing Villaggio Mall. They want to make your salon experience as unique and memorable as you are. Their mission is to consistently bring you the freshest styles and ideas, by keeping up with the current trends and constantly educating themselves about the best practices. All of their stylists support one another in their personal strengths and goals within the beauty industry and the community. They promise to pay close attention to the details of your service, maintain the highest standard in the cleanliness of our salon, exceed your expectations, and keep you coming back for more!